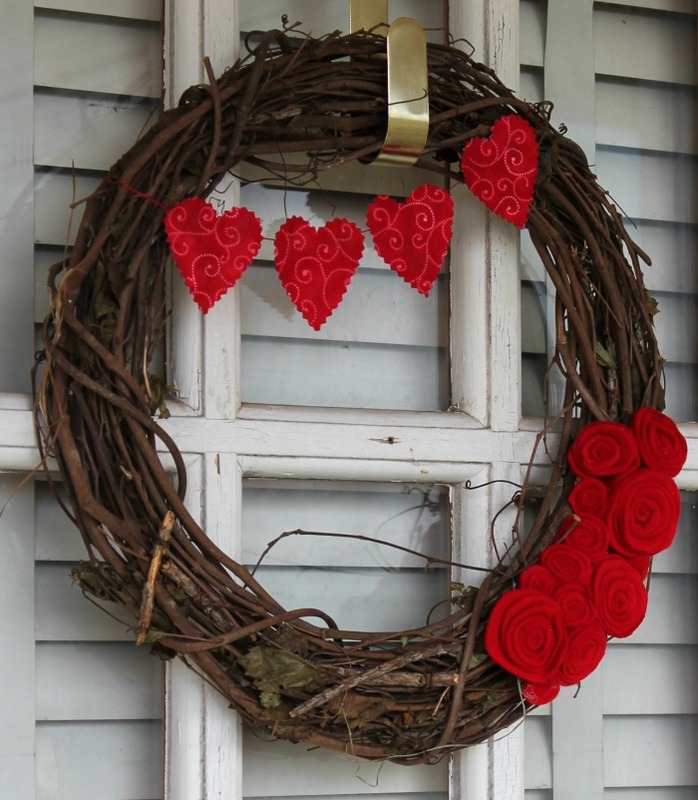 Adorn your house with one of these lovely and creative DIY Wreaths for Valentine’s Day. 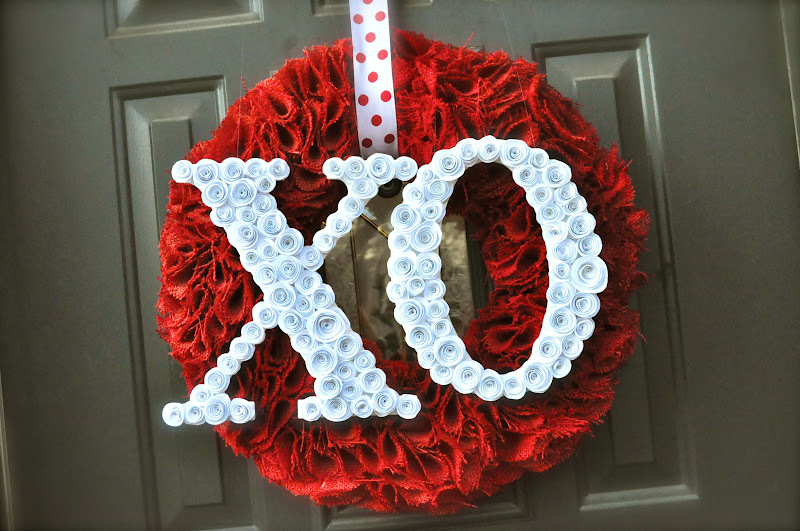 My husband has been giving me a hard time because I haven’t taken down the Christmas decorations yet. 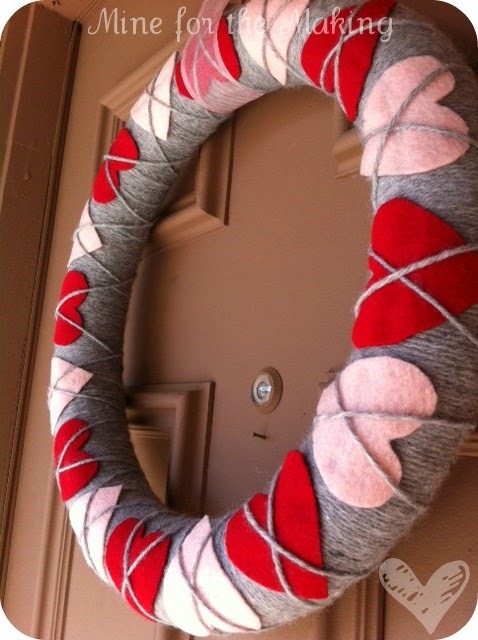 Apparently he hasn’t looked on our front door lately, because there is clearly a Valentine’s wreath hanging on it. 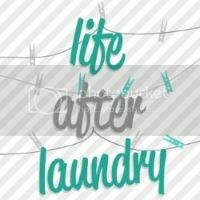 Yes, the life of a blogger, a smash up of several holidays throughout the house. 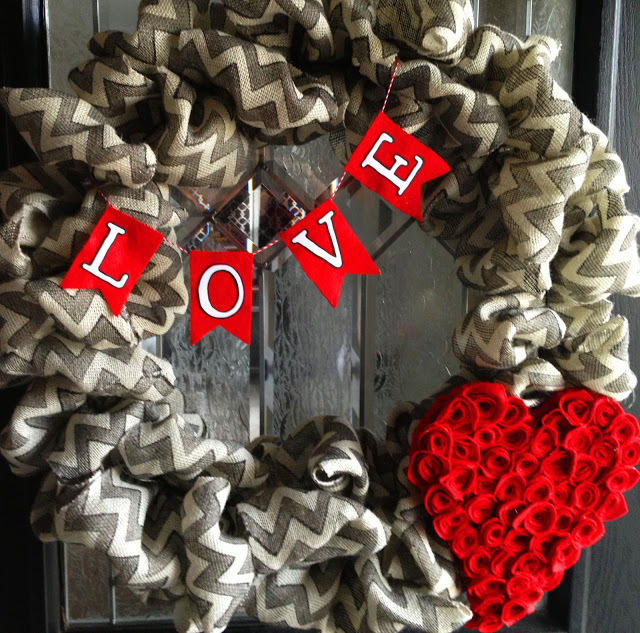 I shared this Easy Valentine’s Day Wreath the other day at Blitsy. 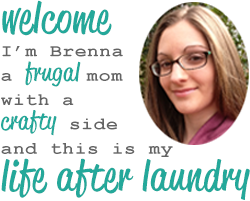 When I say easy, I mean really easy. 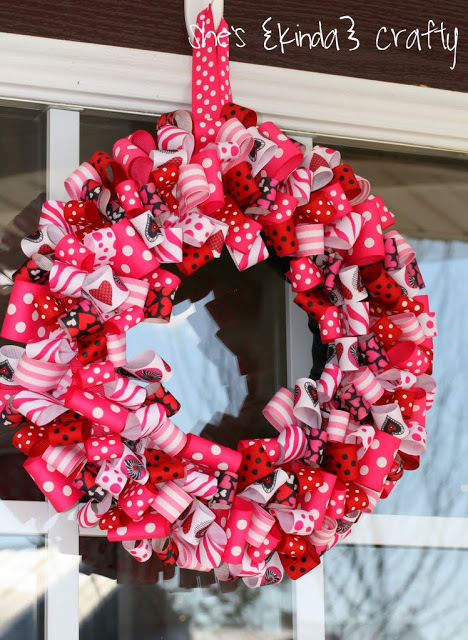 This bunting can be made with paper or fabric and put together with a little glue. Yes, they can be sewn, but I was trying to save some time and used fabric glue instead. 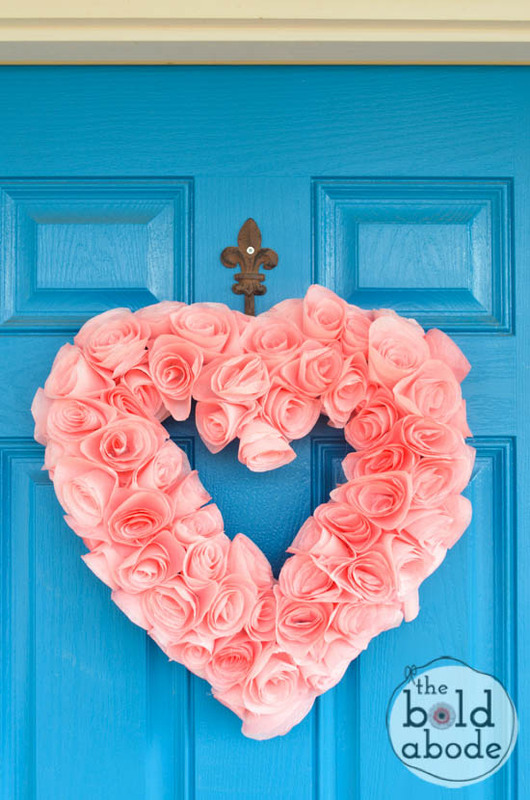 Then you can just add a few felt flowers to finish it off. 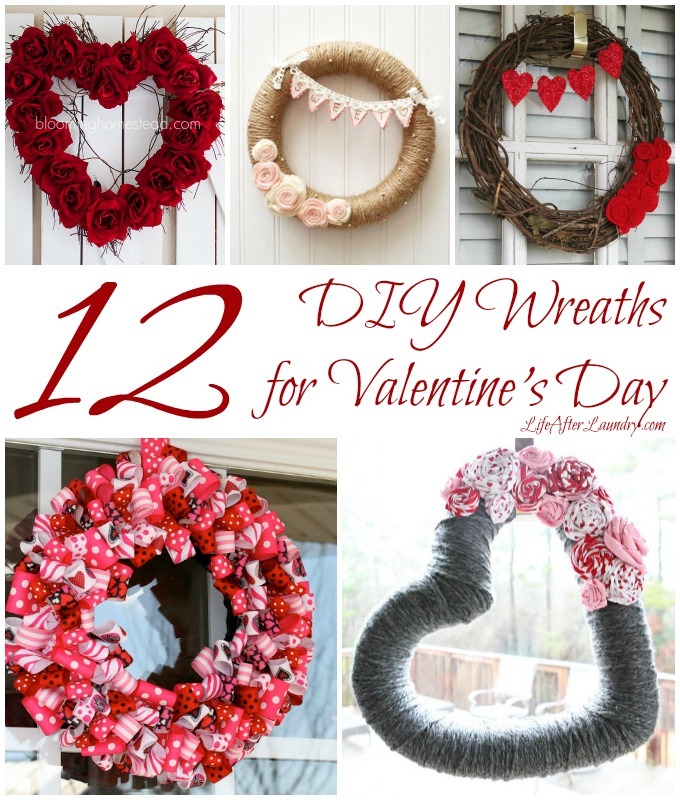 Here is my wreath and a few other wreaths for Valentine’s Day. 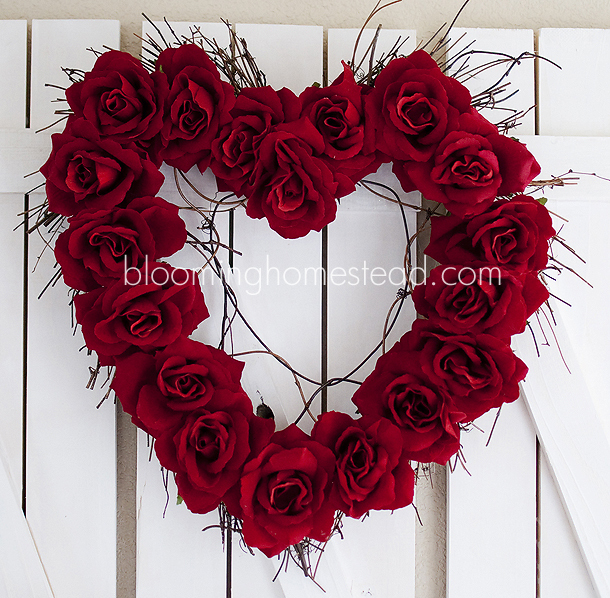 I hope you will find something you love as we celebrate the day of love! 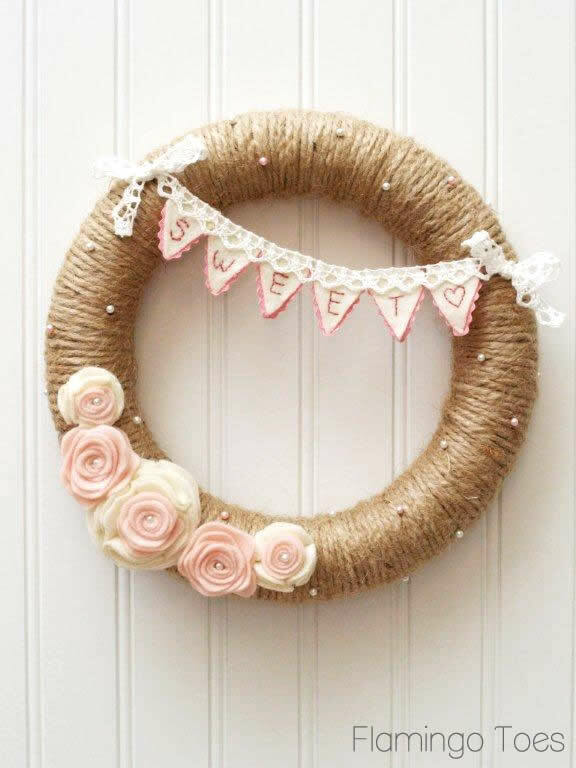 Burlap Valentine’s Wreath with Spiral Rose Letters via Little Birdie SecretsDo you decorate for Valentine’s Day? I have to be honest this is probably only the second time I ever have. I think the fact that my son is old enough to understand the different holidays motivates me to do a little something. 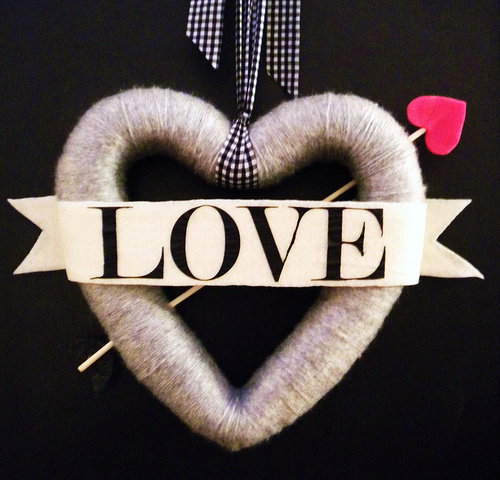 I always try to do it as practical as possible, like using scraps to make the heart bunting. 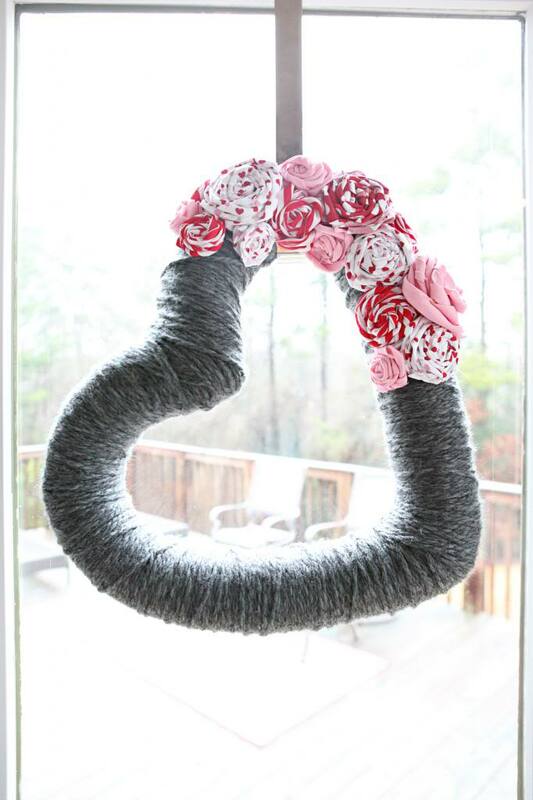 I like to decorate, but with something like this that only last a short time I have to be frugal. 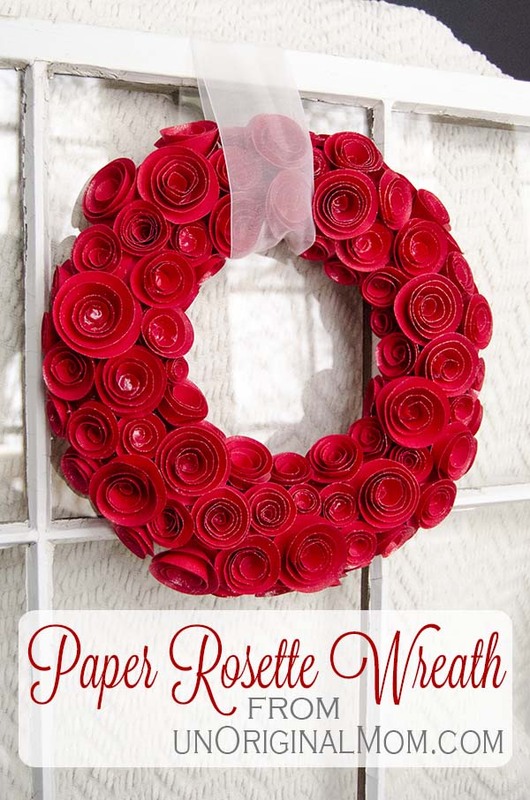 Great wreath. 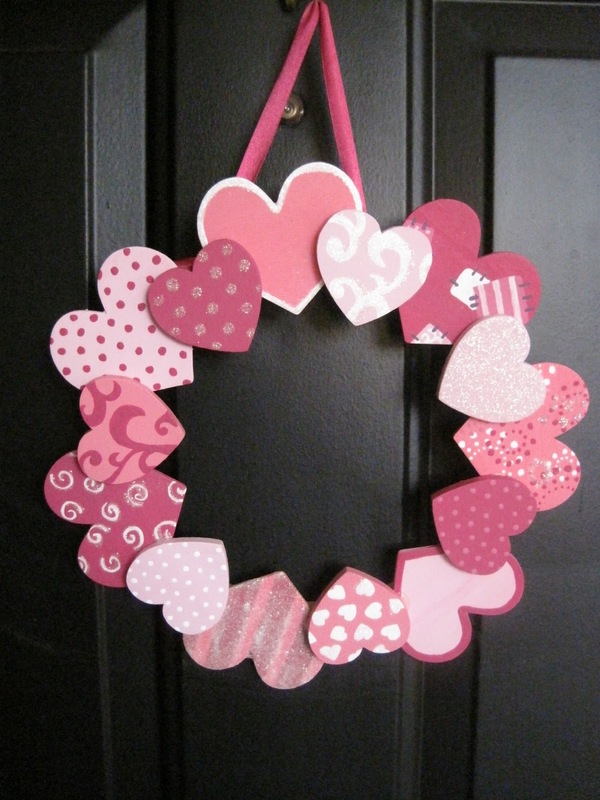 I’m still working on my wreath, but the rest of my house is covered with Valentines! LOL. I go a little overboard. I’m missing my fireplace right now. Hopefully we’ll have one put in by next year, so I can decorate it.